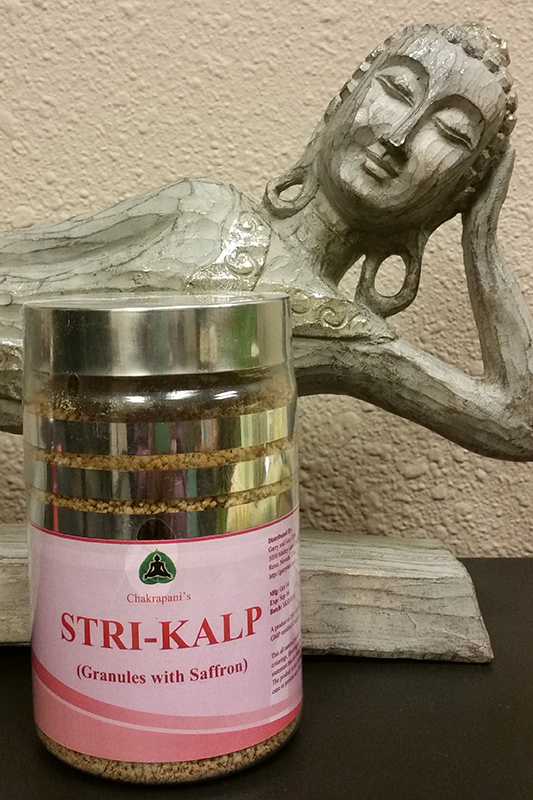 Shatavari Kalp with Saffron: Nutritive and Rejuvenative. This tea is a wonderful tonic for women. Shatavari is perhaps India’s best known and most often used herb for women. Saffron, is a well know spice that is not only delicious, but is also full of antioxidants, vitamins, minerals and numerous health benefits. Rich in carotenoids like pro vitamin A, and other important vitamins and minerals such as B2, B6, vitamin C, iron, calcium, magnesium, manganese and potassium. The formulation is supplied in the form of granules that also contain, yashtimadhu, ela, gokshura, musta, vidari, anantamool, bhoomi amalaki and natural cane sugar which makes a delicious drink by mixing one teaspoon with warm water or milk. Suggested use, once or twice daily.